The Visit - 2016 Australia Day Book Giveaway Blog Hop! | Wendy J. Dunn, Award-Winning Author. I’m shifting years of work from a leased computer, due to be returned this week, to my new computer. The process is taking a lot longer than expected because I keep finding bits and pieces of forgotten writing, which I have to decide whether to keep, or not. The little piece below I did decide to keep. 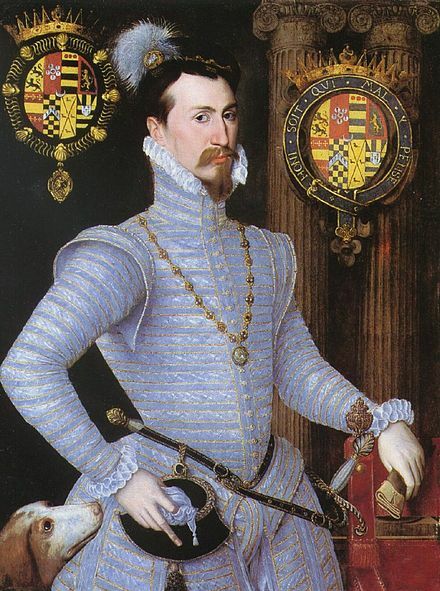 Written originally a decade and more ago for my long gone Suite101 Tudor England column, it birthed from musing about one of my favourite Tudor people. 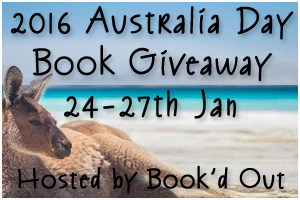 I thought I would share it for 2016 Australia Day Book Giveaway Blog Hop. I will be drawing a winner from the comments on Wednesday, January 27th. If the winner lives in Australia, they will receive a paperback of The Light in the Labyrinth – and those outside Australia will win an ebook. Good luck! The Light in the Labyrinth, published by Metropolis Ink, is available in paperback and Kindle. Lively, touching and vivid, this novel offers a fresh and unusual perspective on one of history’s most well-known stories, the downfall of Anne Boleyn, by telling it through the eyes of young Kate Carey, Anne’s niece ~ Sophie Masson. 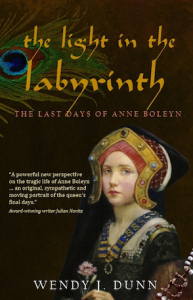 I was not prepared to cry at the end–cry because it had ended, because it ended on a note of sadness and betrayal and because it brought Anne Boleyn to life in a bold new light. But I cried for more than just Queen Anne. I cried for Kate, for the loss of innocence and trust, for the betrayals of and by people she loved most, and for bravery that marked the death of youth as much as it marked the death of her colourful aunt ~ Linda Root. This is a quality Y/A book, that an adult can enjoy. In fact, I found it better researched & written than many adult books of this subject. Young Katherine’s tale is moving and “Aunt Nan” is one of the most complex characterisation of Queen Anne Boleyn I’ve read ~ Patricia Hain. I put the final item down on the table, and stepped back, looking critically over everything, making certain nothing was left undone. In the silence of the room, rushes crackled loudly underfoot and I inhaled the scent of lavender. I closed my eyes, deliberately treading a little bit more, hoping the heady smell would relax my jittery nerves. In my mind’s eye, there took shape a misty vision of gentle, rolling hills backed against scorched blue skies. Hills all purpled with the bloom of lavender. Opening my eyes, I glanced towards the clock. They’ll be here soon. My gaze took in the table again. I prayed I made the right choices. The appetite of the one I serve had no liking for dishes overdone with spices or the complexity of preparation. Walking to the table, I snipped a cherry from its bunch. I bit into it, going to the mirror hanging on the wall, close to the huge hearth, where embers now burnt low. My fingers ran the cherry over my lips, the blood-coloured juice soaking into my skin, reddening my mouth. I dropped the pip down into the rushes, moving my foot quickly to help bury it. Looking again at the mirror, I slowly fingered one of the deep scars cratered into my skin by smallpox. 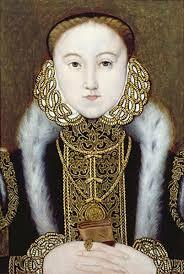 In the first shock, my lord husband said he’d gone abroad leaving in England a fair lady to return to one foul. But the eyes reflected back to me from the mirror are the same, though sadder now, and I know my mouth curves into the same loving smile. But still I pick up the mask from the stool, placing it carefully over my ruined nose and cheeks, leaving only my mouth and chin exposed. Just in time. Two knocks rap sharply against wood. “Come in,” I say, for I possess no desire for a servant to share my loneliness. First my brother Robin enters. Oh – ’tis no wonder that his enemies call him ‘ The Gipsy’. He is so dark: midnight blue eyes, black hair, olive skin, and very, very handsome. Our mother did not fail her children in this, passing on her comeliness to all her brood. They once said my mother’s beauty lived again with me. Now? Now all voices speak loudly in their silence. I hear the rustle of a silken dress, and drop in a deep curtesy, bowing my head low. Inhaling the scent of rosewater, I feel the light weight of a hand resting on my shoulder. I lift my gaze to the Queen. Her dark hazel eyes look down at me in great tenderness. “My Mary, rise up, let me kiss you,” she says. 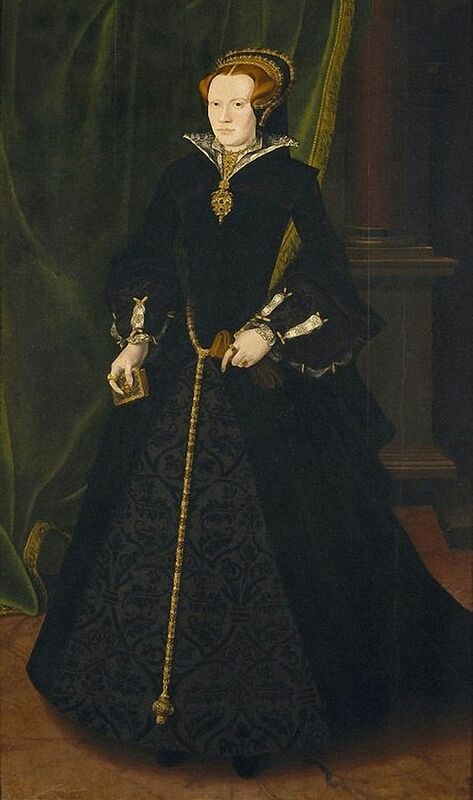 Mary Sidney was a brave, loyal woman (just as her son Phillip Sydney would also one day prove to be a brave, loyal man) who became a virtual recluse after being badly scarred by smallpox- caught from her Queen in 1562.